Still, there probably hasn’t been a better time to be a small business owner. Countless software tools are helping to level the playing field, making it possible to compete with much larger companies. There are so many different software options out there, but we’ve narrowed down the list to five of the best easy-to-use tools that will help your small business get organized, streamline workflow, and do all the things you want to do. Eventually, every small business owner gets to the point where their success forces them into a tough decision: either continue to handle their own books (a time-consuming and potentially risky proposition) or hire an accountant (a costly one). Thanks to FreshBooks, small business owners can compromise. They save time and money without worrying about making expensive mistakes. It’s also incredibly easy to find old financial records when all you have to do is open the software and conduct a simple search. No more digging through dusty boxes. 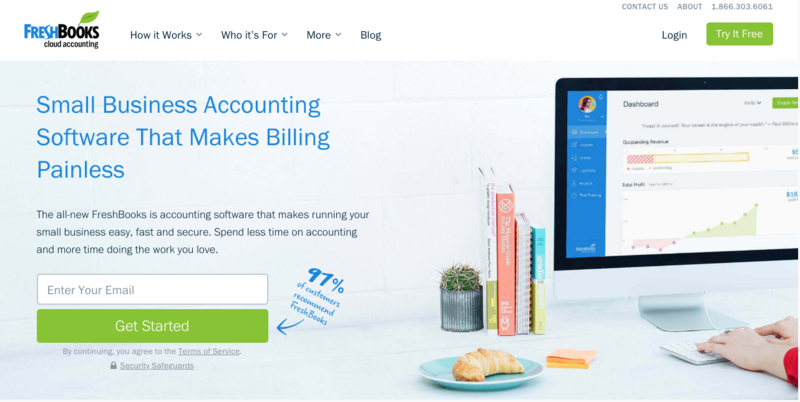 That’s not all, FreshBooks makes it easy to create professional-looking invoices and proposals, so your small business doesn’t make an amateur impression. You can use the platform to set up an online payment portal, too. That way, once invoices are sent, you can get paid a lot quicker. 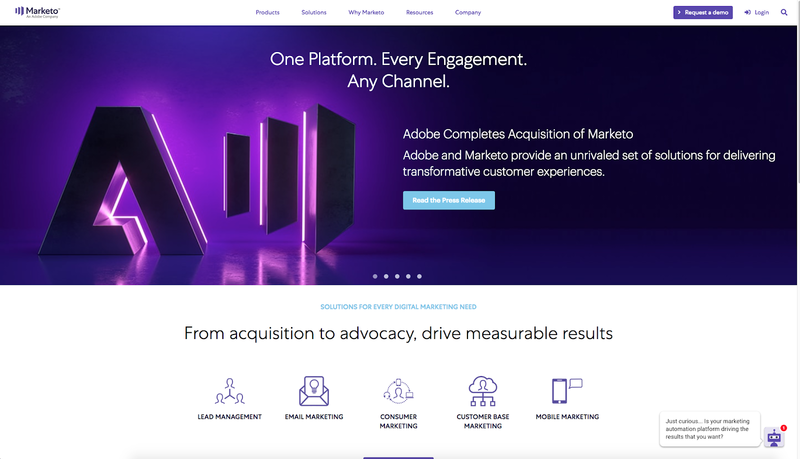 Adobe made big headlines this fall when it acquired Marketo for $4.75 billion. Not that it came as a surprise to the millions of people who had been using the marketing software for years. Marketo has developed an extremely loyal following, especially among small business owners, because it offers a complete marketing platform. The software covers lead management, email marketing, consumer marketing, customer base marketing, and more. It includes some pretty impressive features, like marketing automation, analytics, and predictive content. It’s a fantastic example of how much small business owners can do just by investing in a single platform. Marketo also offers its clients a lot in the way of expertise. 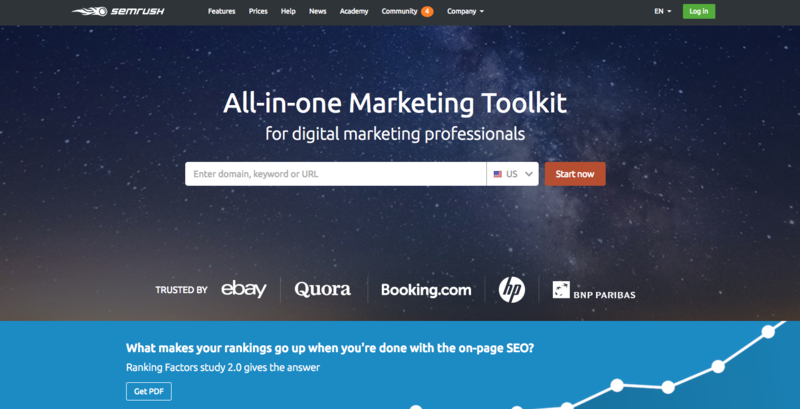 Need help improving your marketing automation? Talk to their consultants. Have no idea how to build a landing page or a mobile layout for your site? Their creative team would be happy to handle that too. There’s only one form of marketing that Marketo doesn’t cover, but it’s one of the biggest that small business owners should care about: search. Fortunately, if you’re looking to increase organic traffic to your site, SEMRush can help. The software makes it incredibly easy to conduct keyword research by displaying which keywords rank highest for your competitors. You can also do side-by-side comparisons of your site versus competitors, so you can see how you’ve been progressing against benchmarks. Another helpful feature is the backlinks section. If you’re looking to catch up to another company, you can use this section to figure out which sites are helping a certain competitor increase their exposure. For those of you who are too busy to constantly run reports, you can configure the dashboard to display your company’s number of social media followers, rank position for target keywords, site audit analytics, and more. Every small business’ website should leverage the power of forms to connect with their visitors. Some example usages include contact forms, surveys, newsletter subscriptions, event registrations, payment forms, and job applications. Basically, any time you need to collect information from website visitors, there’s likely a form you could use, ensuring the data is easy to extract later. Of course, this is much easier to do when using a form builder like JotForm. This software platform makes it extremely easy for small business owners to create and fully customize the forms they need. There’s no need to spend money on a web developer and wait on their turnaround. The moment you need a form, simply select a template and make the changes you want. 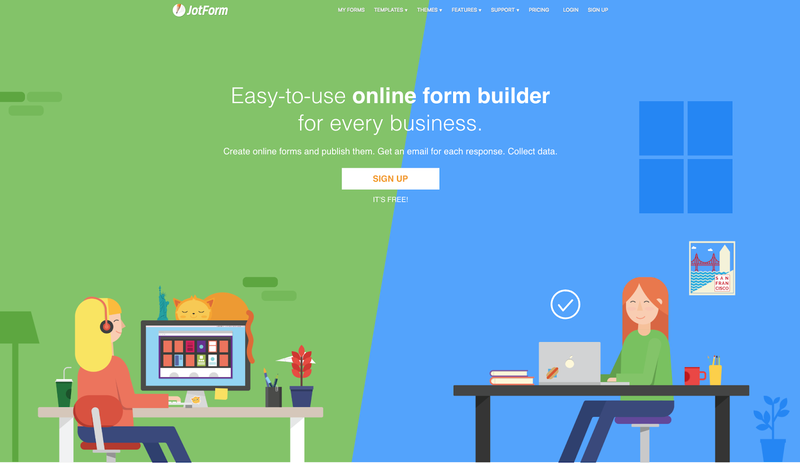 JotForm supports more than 100 integrations, including other popular platforms like Dropbox, Salesforce, and PayPal. The software also includes a plethora of other helpful features, and help guides, such as how to easily and effectively edit a PDF. There are a number of reasons to hire remote employees, especially freelancers and independent contractors who will help your company improve its bottom line without costing a full-time salary plus benefits. Debating whether or not to hire a full-time employee, freelancer, or agency when it comes to content creation and promotion? 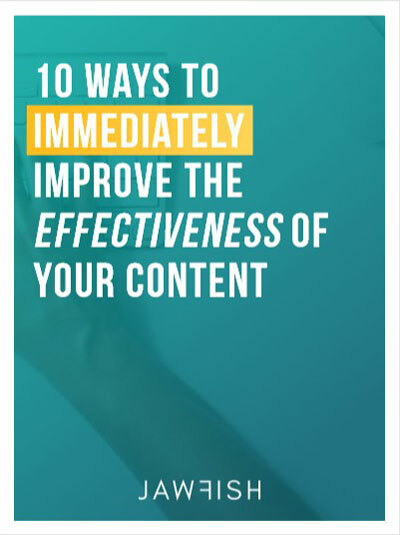 If so, check out our guide on outsourcing content marketing. Although more and more small businesses are hiring freelancers, some companies may feel uneasy working with freelancers due to concerns over communication. If you fit into this group, Slack is the perfect solution. The interface is so intuitive that the least tech-savvy among us will have no problem using it to manage our remote workers. Among other things, Slack makes it easy to send a message to individuals and create “channels,” to which enable you to invite different employees. This makes it effortless to manage projects where numerous people may be involved. Thanks to software like the five tools mentioned above, your small business doesn’t have to shy away from competing against bigger rivals. Take the time to learn all the ins and outs of these platforms and you’ll have the tools necessary to help your company reach new heights. Annabel Maw is a Marketing Communications Manager at popular online form building company, JotForm.